If there is one celebration that we should give our time with, it should be Mother’s Day. This is paying tribute to all the mothers around the world in their efforts, hard works, labors and dedication to maintain a family. In the Philippines, the celebration will be on May 11, 2014 and that is Sunday. Celebration of Mother’s Day differs in different countries as there are countries that would do the celebration on April and there are others also who are comfortable doing this on May. Well, no matter what the date is, the important is the celebration itself. History of Mother’s Day celebration will draw us back to the history of United States of America where it originated. According to recorded history, it started as early as 20th century. Though there are other traditions before similar to this, it is not related to them. The said traditions are celebration of Cybele by the Greeks, Roman festival of Hilaria and other Sunday celebrations for Christians. Mother’s day is not related to this despite their similarities in small ways. It was first celebrated in 1908 through a memorial for the mother of Anna Jarvis. Well, the rest is history. Nowadays, Mother’s Day is celebrated with family gatherings. And this is the whole essence of it. Greeting cards, food preparations, gift giving, hugs, kisses, etc. these are normally the things that are offered to the mothers around the world. Filipinos are so sentimental with this celebration as they pay tribute to their mothers knowing that Filipino mothers are loving and hard working. Normally, the members of the family will hold a celebration made by surprises, etc. as long as it draws smile in the face of the celebrant. Celebrating Mother’s Day may differ in different countries like Canada, Israel, Belgium, Malaysia, etc. but the heroic symbol of mothers around the world is observed. May this coming Mother’s Day be a special day to all mothers and that they will feel the true spirit of being a mother. Advanced happy Mother’s Day to all mothers on Sunday! 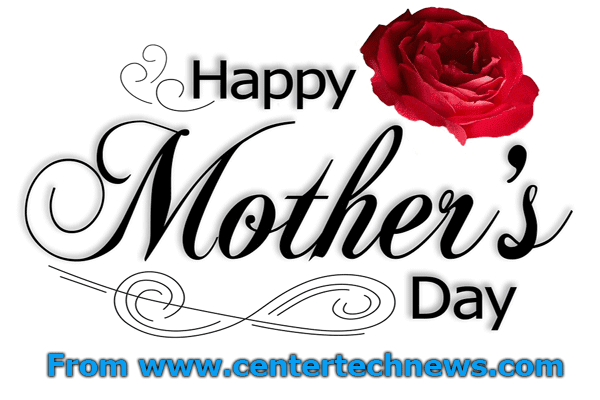 This is in behalf of all the staff of CenterTechNews.